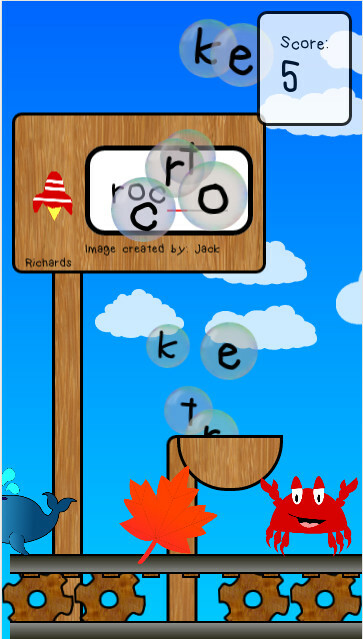 My fabulous Year 9 iMedia students at Fulford School in York have designed and made the graphics for a fun app to help young children learn to spell. Students suggested and voted for the name ABC Tap And Play before creating the logo and graphics as part of a project about copyright and its implications on creating and publishing web graphics. You can try the game for free at abc.tapandplay.uk or download it from the Google Play store. Students have voted for charities that support causes they care deeply about and any money raised from either app sales or ad revenue will be given to those charities. The online version is free to play but contains adverts so may not be suitable for small children. You can download an ad-free version if you have an android phone for £0.59. All money goes to charity (after Google take their slice of either app sales or ad revenue). From Christmas to Easter 2017, students have chosen to support NSPCC because of the fab work that they do preventing cruelty to children. The next step for my students is to make a social media campaign to promote their app to encourage more people to try out the app in order to raise as much money as possible for charity. Watch this space to find out how much money the app raises. Page 2 of this article tells you how you can get Google to pay for this app for you and raise money for charity for free! Page 3 of this article tells you how to lock your android smartphone or tablet to one app so that your toddler / brother / sister can play on ABC Tap And Play on your device without accidentally deleting your photos or ordering a pizza (or worse). It’s been less than a year since I first launched create.withcode.uk to let students and teachers write, run and debug python code without needing to download any software or create any user accounts. Since that time, a new job and new baby have made me fall behind some of the amazing new features added to the micropython runtime for the BBC microbit. Thankfully, the Christmas holidays have arrived and I’ve now got a little bit of time whilst the boys are asleep – whilst I should be starting on the sack full of marking, reports and lesson prep – to catch up and post some new resources. I’ve posted before about being able to connect up a speaker to a micro:bit to play sounds. Well, Nicholas Tollervey and the team working on the microbit python runtime have been adding some old speech synthesis code from the 1980s into the micropython runtime that lets your microbit speak. It sounds suspiciously like a dalek from Dr Who, but it’s a really fun feature on such a small device. I’ve been working on the microbit simulator to let you try out the new speech module in your code. I’ve tested it with firefox and chrome but Internet Explorer doesn’t support web audio so if you’re stuck with using that you can still write and run your code and download it to your microbit but it wont actually speak unless you download the sound file each time your code tries to speak. 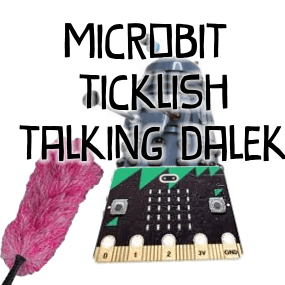 add your own phrases that you’d like the micro:bit to say when you tickle it. find out the maximum length of text that the micro:bit can say. What happens if you try and say more than this? I’ve finally got round to updating the online microbit python simulator in create.withcode.uk to catch up with some of the amazing new micropython features (such as speech and radio). 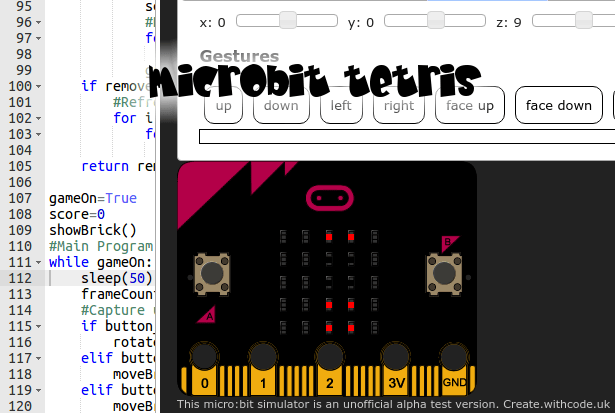 To celebrate, here are three different versions of the classic game tetris that you can simulate online in a virtual microbit or download to your device and play. The first two tetris games weren’t made by me: the first was made by VivianePons and donated into the public domain after making it at PyCon2016. It uses the microbit’s accelerometer to sense how much you tilt the device in order to move the blocks left and right. You can play it in the simulator by clicking on the accelerometer tab and changing the X slider left and right. Which version do you prefer? Can you combine the best bits of both programs? I think it’d be great it you could use the accelerometer like the first version but have the more complex blocks that you can rotate like the second one. Perhaps button A would rotate counter clockwise and button B clockwise. Post a comment with a link to your code if you’re able to improve on either of these projects and thanks to the original authors for sharing their code online. It seems that the second version doesn’t work any more with the current version of micropython for a micro:bit. Please see below for a version of Tetris I’ve put together that works on both the simulator and an actual device. There are four different types of blocks that fall down. You can move them by pressing A or B or rotate them by tilting the microbit left or right.